Football is one of the most popular games all over the world. It is really a grand event which units hundreds of people in front of TVs or at the stadiums. If you are a football fan or you want to participate in a football game, read on our inspirational football quotes to get yourself motivated. Always remember your goals and dreams. The principles of a football game. Team spirit is very important in football. Playing football is like living your life. Playing football with all your heart. Aim at your goal precisely. Plan to achieve great things. The love to something will bring you great power. Self-control is an important factor in football. You should always keep ahead of your opponents. Put your heart into the game. Aim for the best results. Good players want to stay in the battlefield. 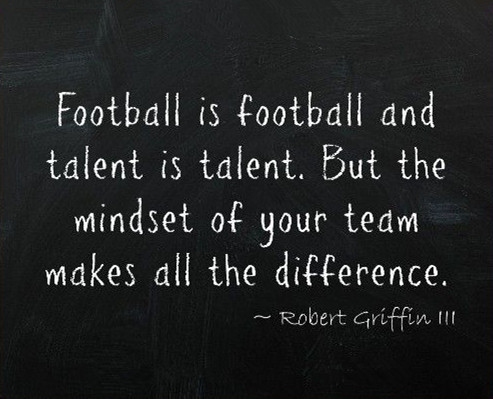 Inspirational football quotes want to show you the importance of perseverance and concentration in football. Server responsed at: 04/18/2019 10:57 a.m.